17 - 19 September at Naeba, Niigata. 4,000 yen on the door. We'll keep everyone updated Labyrinth, as information is announced. In the meantime, we are really looking forward to seeing Peter and Eric back in J-land! Excellent. I might actually be in a position to make it this year. too bad we cannot addend the enter party. but we're gonna catch peter van hoesen, function etc. 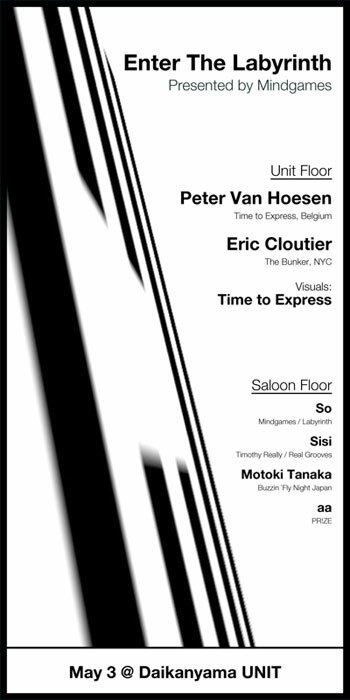 in club fuse brussels in a few days, looking forward! looking forward to meeting some fellow ssgs!